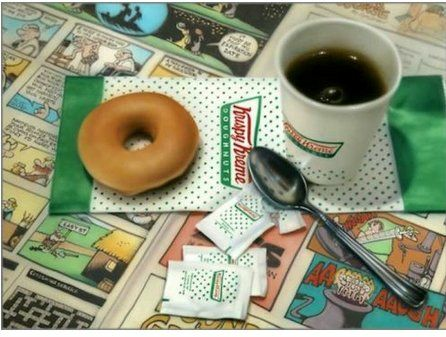 Doug Bloodworth limited edition giclée on canvas:"Krispy Kreme"
About the Art: Check out the coffee in the coffee cup. Check out the reflection in the spoon. It's uncanny. Even after a year, you will still notice new things in the painting whenever you look at it. Fun fact:Doug loves inserting unique things that take careful viewing to notice. For example, did you notice the crossword solution? There are other things like that as well, and you will notice one at a time over the years.